HomebusinesslearningSustainabletechnologyWhat You Need To Do To Make Your Business a Part of Sustainable Development? What You Need To Do To Make Your Business a Part of Sustainable Development? ● The business takes into account the environment sustainability while making each and every decision. ● Continuous work on making their products/services environment-friendly. ● The sustainable businesses have a smaller carbon footprint. ● The sustainable businesses are committed to helping the environment and minimizing any negative effect on the environment due to their business operations (for example, use automation services where it possible instead of a lot of paperwork). 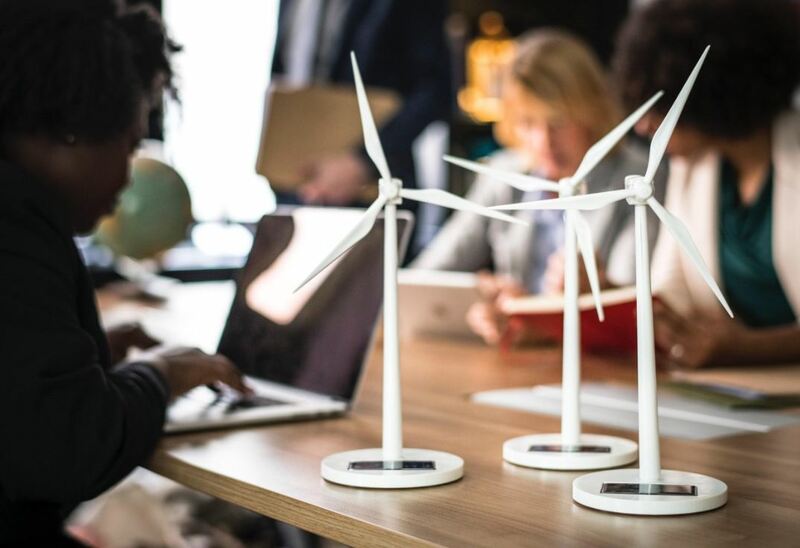 As a business owner, if you want to embrace sustainable development principles as a part of your business strategy, there are a few steps which you can undertake in order to do so. We will highlight these below. These might seem pretty simple but when you try to do so, you will realize how these steps can help you in creating an inclusive and healthy workplace. As a result, your employees will be satisfied with their jobs and will be diligent in their work. Apart from improving the workspace environment, it is necessary to improve the corporate culture as well. Many businesses stick to the rigid corporate structure which is being used in multiple organizations through the decades. ● You should involve everyone in creating a sustainable corporate culture. ● You should hire people who believe in sustainability. ● You should inculcate not just the employees but also investors, clients as well as the community in your sustainable business endeavors. ● You should also take into account the environment while tackling the economics for your company. ● You should measure your progress in making your business a part of sustainable development consistently. Once you are able to take a few of these steps, it will become much easier for you to make your business more sustainable. And in return, you’ll be able to reach a new audience, as 66% of Nielsen respondents say they’d pay more for products/services that were produced by companies that are committed to positive social and environmental impact. In business, the right partner company can help you to take your business to a whole new level and make it sustainable. The problem is that most of the people have no idea about the things which they should look for. These days, with the help of the Internet you will be able to find out quite a few things about the company you are going to partner with. This process will help you to shortlist potential partners and filter out the companies which are not the right fit for you. As a result, it will be much easier for you to find a suitable partner and further your business interests. Social responsibility of business is also known as corporate social responsibility. Corporate social responsibility helps companies integrate and benefit various communities not only with the help of their business operations but also on a stand-alone basis. The social responsibility of any business is to share the profits with the underprivileged parts of the society. They can do so by developing the communities in the vicinity or donating to a cause which they believe in. According to Forbes, in 2017, Lego was one of the few companies which invested heavily in CSR. It aims to achieve transparency as well as protection of the environment. It is also created a sustainable materials center in order to help the company achieve complete sustainability. Moreover, it has partnered with the world wildlife fund in order to conserve wildlife and make it flourish. Thus, it is helping the environment in more ways than one. It is high time that companies and businesses start thinking about the effects of their activities on the environment and communities surrounding them. Also, making your business sustainable can help the business reduce its overhead costs and also control the supply chain better. Thus, using their business as a tool to further sustainable development is not just beneficial for the community and environment but also beneficial for the business. With the help of the above few steps, it will become easier for you to make your business a part of sustainable development.